At First Church, adult education is thriving. The program offers a wide range of opportunities for spiritual growth—from formal bible study, to lectures on social issues, to weekend retreats, to intimate lunchtime discussions followed by a concert. Wherever you are on your spiritual journey, we strive to offer classes that challenge you, support you and help you grow stronger in your faith. Sunday Morning classes are held from 10 a.m. to 10:50 a.m. 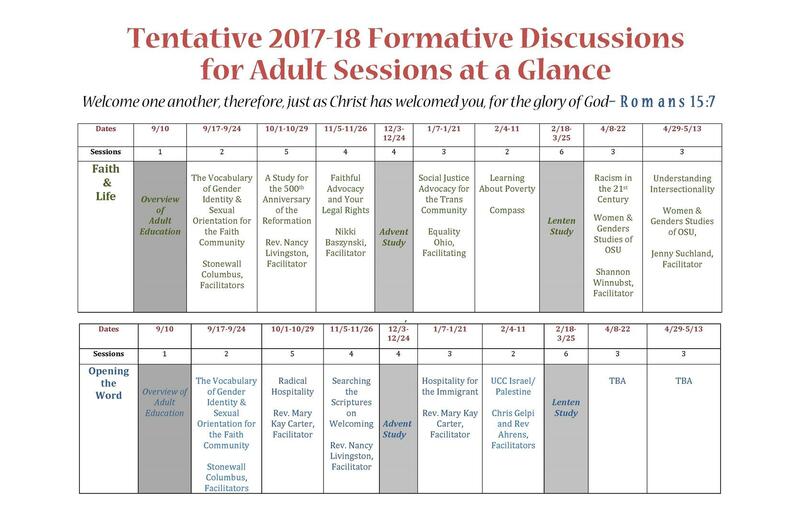 Throughout the year, First Church schedules a number of seminars and adult education classes led by the pastors or guest speakers.